The Per Artem ad Deum Medal has been presented during the International Exhibition of Church Construction, Church Fittings and Furnishings and Religious Art SACROEXPO held in Targi Kielce The Medal has been awarded to artists or institutions whose artistic achievements and heritage contribute to the culture development and shapes man's spirituality. The gala awarding ceremony will be held on 20 June 2016 at Targi Kielce. Antonina Krzysztoń - Polish singer, composer and songwriter. She made her début in 1980 at the Forbidden Song Festival staged in Gdansk's Olivia Hall. For many years she worked with the two musicians - Słoma (percussion) and Kuba (bass), the cooperation bore a fruit in the form of two long-plays " Kiedy orzyjdzie dzień [When the Day Comes]" and "Pieśni Wielkopostne Wołanie [Lent Songs]". Antonina plays many concerts, many of them are staged in churches. Although her songs clearly define and express the world-views, her songs appeal to people of different beliefs. 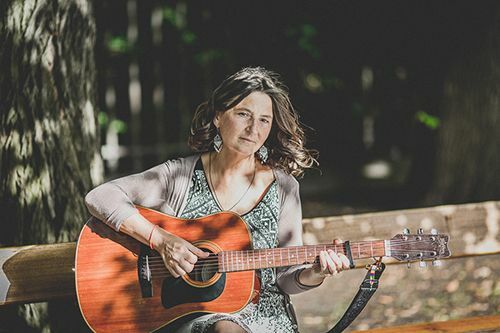 Not only is Antonina the music creator of most of the songs, but she is also a songwriter. She wrote songs for Mietk Szcześniak, Michał Lorenc as well as lyrics to Wojciech Konikiewicz's music. 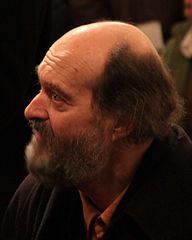 Arvo Pärt - Estonian composer of choral and instrumental music. He has been bestowed, inter alia, the Great Cultural Award of the Estonian Association in Stockholm (1983) and the Herder Prize awarded by the University of Vienna (2000). In 2009, the "In Principio" record with Pärt’s compositions of 1989-2005 period was released. One of the works - Cecilia, Vergine Romana was first presented in Turin for the occasion of the 2006's Olympic Games. Pärt's most recent release is the "Adam's Lament" album (ECM, 2012). Arnaldo Pomodoro - an Italian sculptor and goldsmith. Pomodoro is the world-renowned, greatest Italian contemporary sculptor. His works adorn the towns of Sorrento, Rimini, Pesaro, Rome, Milan, Turin, Tivoli, Belluno, Copenhagen, Brisbane, Dublin, Los Angeles and many other. Pomodoro's sculptures are parts of permanent exhibitions of the world's largest museums. Since 1954 Pomodoro has lived and worked in Milan. The Pontifical Council for Culture, the body which awards this accolade, was founded in 1982 upon the initiative of Pope John Paul II. Establishing it, the Holy Father emphasized that: "the dialogue of the Church with cultures of the contemporary world constitutes a significant area of activity, in which in the last years of the 20th century the future of the world has been shaped”. Thus, owing to the cooperation of the Council members, the dialogue between the Church and Culture has been continuously developing at the level of universities, experts, researchers and scientists.